I am more well known among my friends for my apple pie making skills, but truth be told, my favorite pie is lemon meringue. 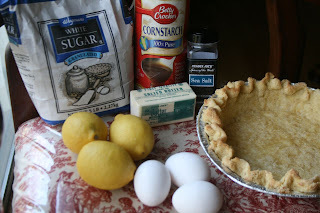 In fact, I credit the humble lemon meringue pie as the catalyst for me starting to make pies in the first place. It was way back in high school and for some forgotten reason I decided that I really wanted to make a lemon meringue pie from scratch. Of course I didn't really know what scratch meant back then and with my babysitting money I bought refrigerated pie crust and some Jello lemon pudding mix. 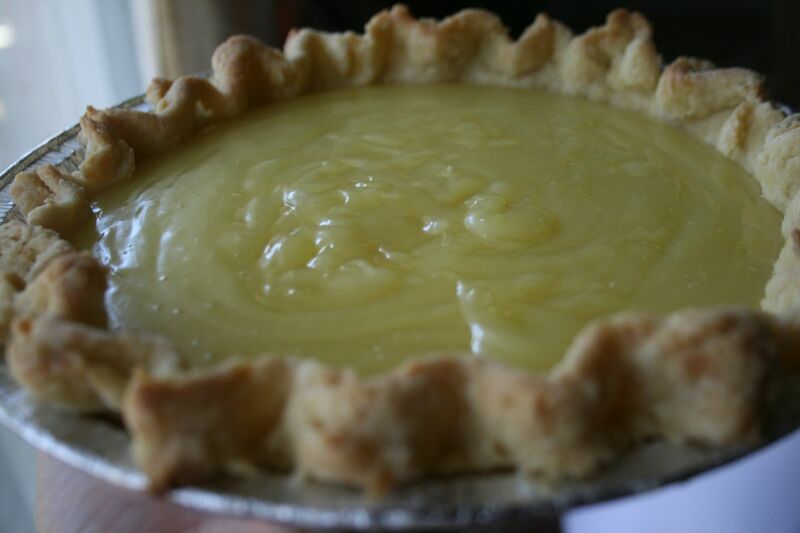 Although that first pie turned out quite ugly, it marked the beginning of my love affair with pie making. 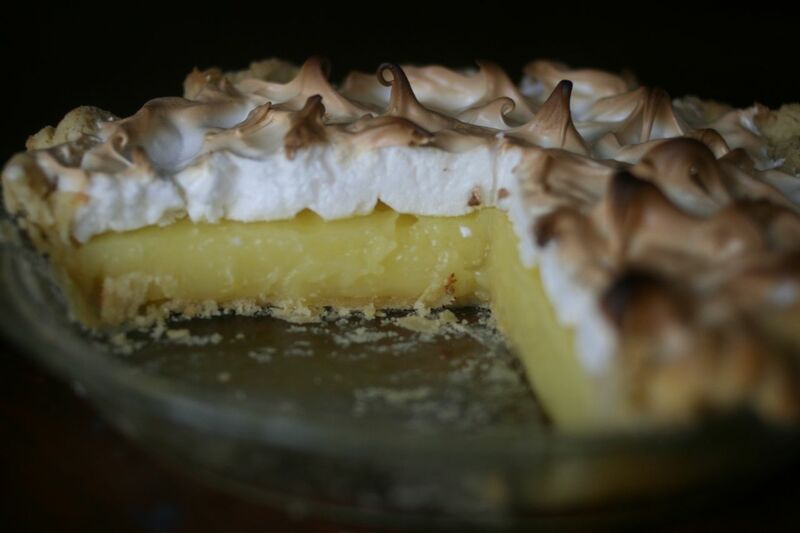 Since that day 20+ years ago I've made hundreds of pies and still lemon meringue is my favorite and this classic recipe from Lion House makes a great one! In a medium size saucepan combine sugar, salt, and cornstarch. Slowly add cold water, while whisking rapidly. Stir in egg yolks and place pan over medium heat. Heat mixture until smooth and thick (30-60 seconds of boiling). 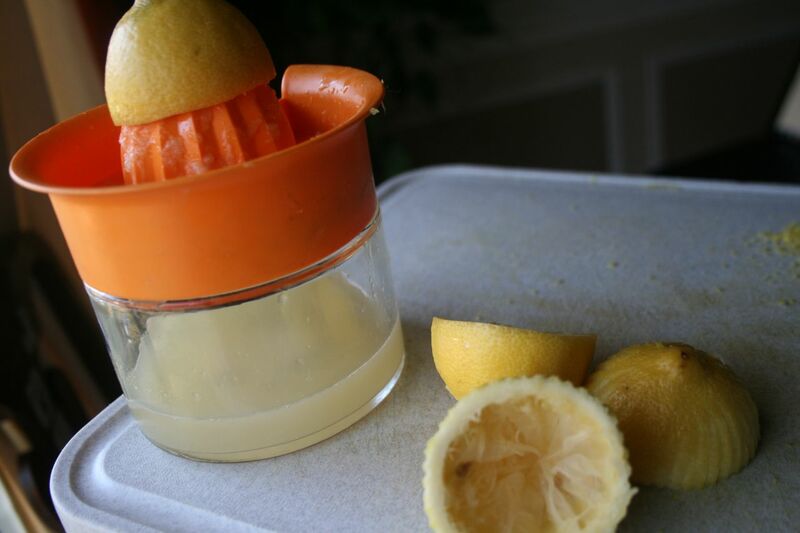 Remove from heat and add lemon juice, rind, and butter. Stir until combined. 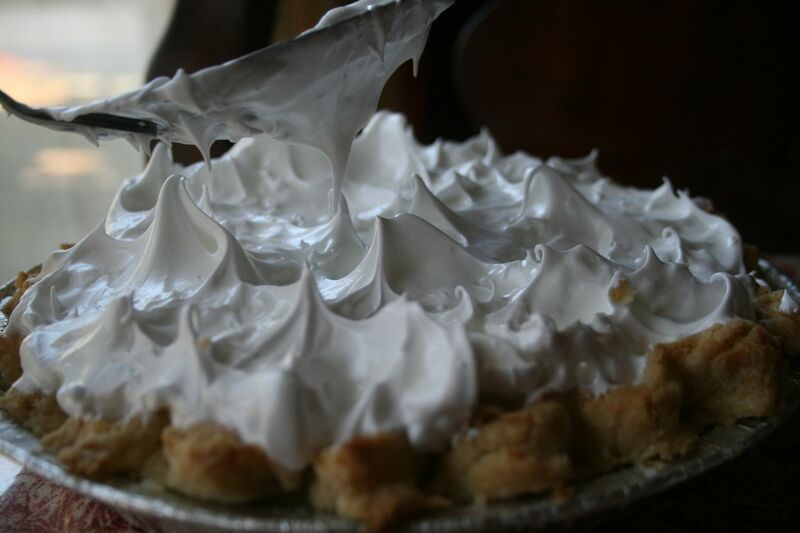 Pour filling into baked pie shell and spread meringue over top while filling is hot. 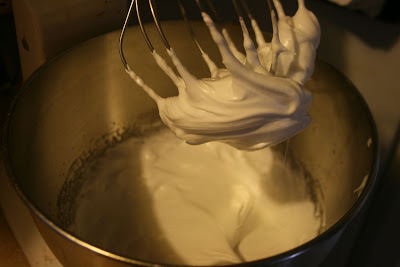 For meringue: Beat the egg whites on high speed adding the sugar gradually while beating. 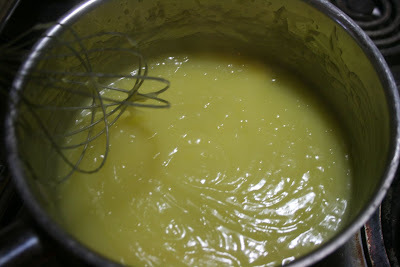 Continue beating until mixture stands in stiff peaks. 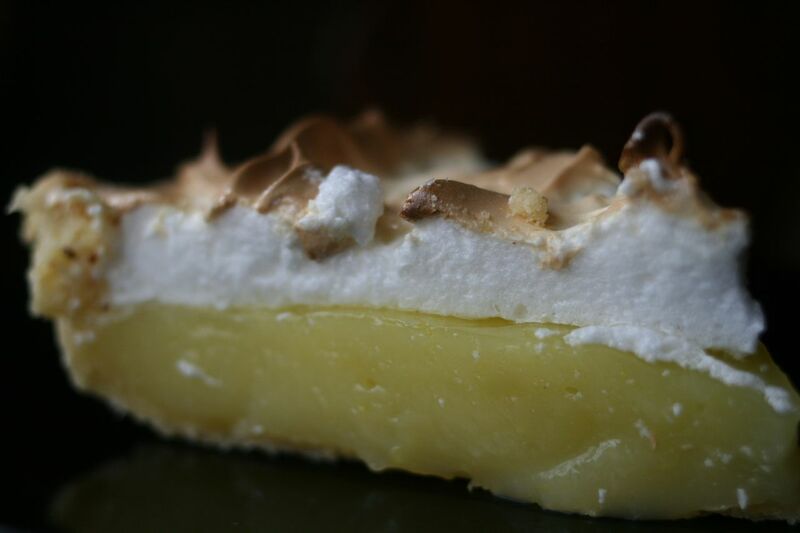 (You'll want to watch it carefully, because it is possible to beat egg whites for too long and lose the creamy texture). seal well to edge of crust and touch meringue lightly with the back of the spoon to form peaks. Bake at 375° for about 15 minutes or until delicately browned. Cool thoroughly before serving, preferably at least 4 hours. 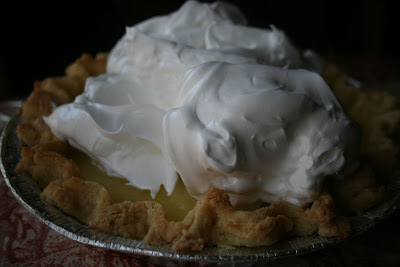 One of my favorite pies too. I love your pie crust...it looks so pretty and perfect! 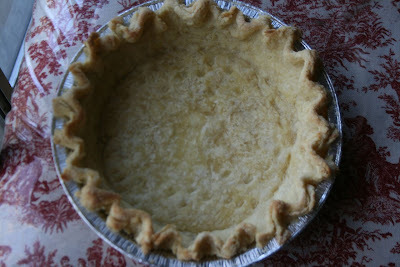 To be honest, I love pie crusts too and could just sit and eat only that! Lemon meringue pie is my favorite too and this one is beautiful! 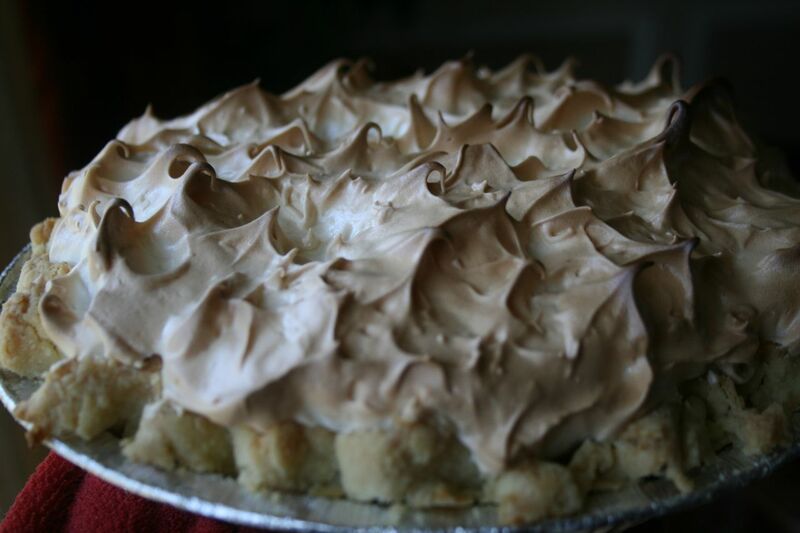 Your crust looks perfect and I love those peaks on the meringue. I bet this was gone in no time at all. 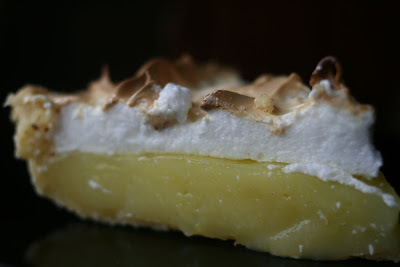 Lemon Meringue is my favorite as well. Now I feel the need to go make it. I so want to make this. 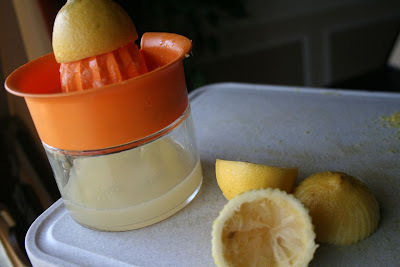 Once my stomach is feeling well, I will have to try this! pure pure heaven. 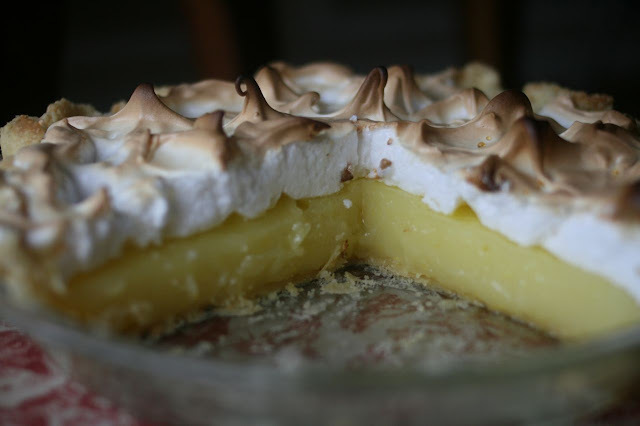 lemon meringue pie was my favorite growing up. love it. This is my favorite flavored pie! Thank you for the wonderful recipe it's really lovely!